“There are more and more reports that children aren’t getting enough sleep, resulting in changes in concentration and behaviour at school. The use of technology late in the evening (TV, games and phones) is a key area of concern. However, children aren’t going to stop watching TV, playing games, throw their iPhones away, or stop using social media at night. So establishing appropriate boundaries is a key consideration, with rules made for one, needing to be set for all (yes, the whole family, including mum and dad!). Build and stick to a strong bedtime routine, with winding down time and clear signals that it’s nearly time to sleep. Our brains love routine, and the first step in setting up your child for the best possible sleep is to have the same bedtime and wake up time 7 days a week. Relax before bedtime, with a bath with lavender. Have a bedroom ‘clear up’ time to create a distraction-free sleep environment, clearing a blissful path straight to the land of nod. Reading a book to or with your child, and even meditation for older children who are stressed at school, can help. Keep to day and night, and in the morning, help them to wake up naturally with sunlight by pulling the curtains wide open. 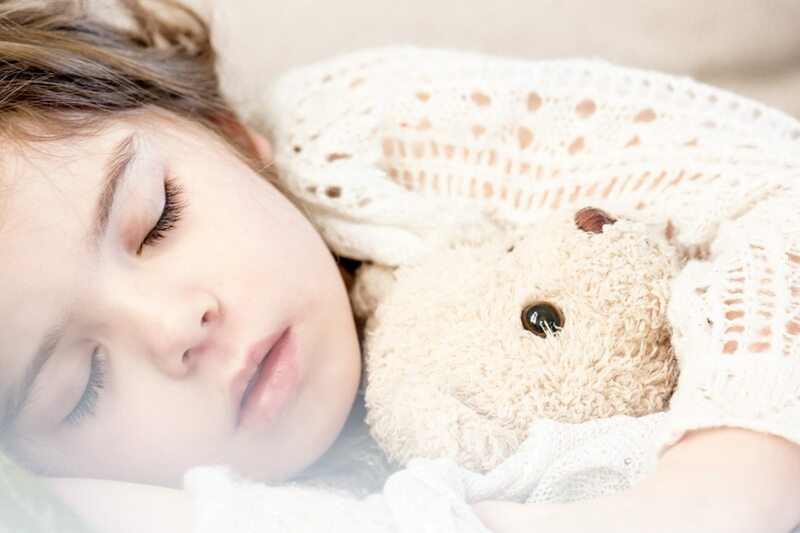 When it is time for bed, be sure that curtains or blinds leave their rooms completely dark so the morning light is blocked out and children are not woken up earlier than they should be. It’s important to get their diet right and be careful what your child eats close to bedtime. Try banana or cherries as a bedtime snack. A banana is an excellent source of magnesium and provides vitamin B6, helping to relax muscles and aid your body in making serotonin, a relaxing neurotransmitter. Another fruit to consider is cherries as they contain melatonin, which the body produces to regulate sleep. Above all, encourage your child to avoid caffeinated drinks (and chocolate) after lunch, as both will keep them awake. Use relaxation techniques to help your children to get themselves off to sleep more comfortably. Try getting them to tense and relax each limb / muscle of their body in sequence, teaching them to let go of tension and bring their focus into their body. Also teach them to breathe from their diaphragm by placing you hand on their belly as they breath in and out. This will help them relax more easily. Build them a bedroom they’ll love to sleep in. Ideally a bedroom should be like a cave; cool, dark and quiet. Allowing your child to help choose their own bed helps them feel like it’s their own space. One-hour tech rule! The older your child gets, the more difficult boundaries around technology seem to get, especially as homework is often done on laptops in the bedroom once children get to secondary school age. The general rule should be that everyone (children and parents) switch off all technology at least an hour before bed, as blue light and mental stimulation will keep your child awake. Don’t allow mobile phones in any bedroom overnight. Keep talking. The key here is to get your child’s interest and then support and encourage children to work out for themselves what is affecting their sleep (both positively and negatively). Train them to take responsibility for ‘healthy sleep behaviours’. We love it when our members bounce into our centres, wide awake and ready to learn maths and English! Meet some of our members to find out what they have achieved.